Jordan Brand is set to give us another treat as they release the Jordan Classic, which is expected to get a lot of attention. 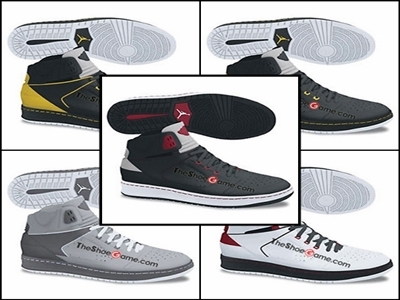 As the name itself suggest, this silhouette from Jordan Brand features a fusion of two classic shoes, the Air Jordan 1 and Air Jordan 2, which blended very well, producing an eye-catching sneaker. According to reports, five colorways of this shoe are set to hit the market this Holiday Season 2012 so make sure to watch out for it. We will be keeping you updated with this new Jordan Classic shoe.